Android Candy: Disney Everywhere, Even Android! As a father of three girls, I have piles and piles of Disney DVDs and Blu-rays. I occasionally look at the "Digital Copy" information and roll my eyes, because it requires some odd Windows DRM software or some other convoluted watching method that usually isn't possible or even interesting for me. Recently, however, Disney did a really cool thing and released an Android app that allows you to stream any movie you have purchased from the Google Play store, iTunes store or from a department store (assuming the store copy came with that seemingly gimmicky digital version). I tried it today, and sure enough, there was an insert in our Saving Mr. Banks Blu-ray disk that allowed me to redeem a copy of the movie on my Disney account. Now that movie is accessible to me through any Android app along with any iOS app or even a Web browser (using Flash, unfortunately). If you install the app and connect it to your Google Play account, you'll get a free copy of Wreck it Ralph, even if you haven't purchased any movies in the past. Don't get me wrong, the movies still are completely crippled with DRM, but at least they are accessible from a multitude of devices. It's the first time the "digital version" of the movies hasn't been a joke—at least in my world. 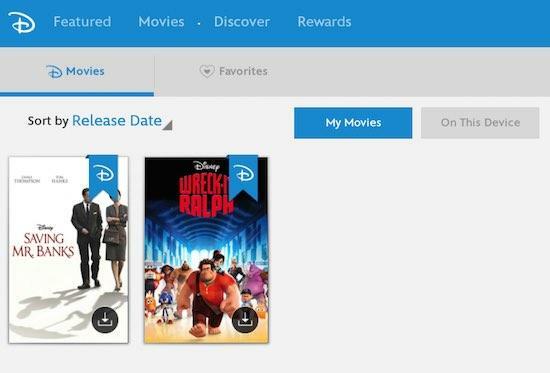 If you have a collection of Disney DVDs with unclaimed codes for digital copies, you can add them to your account and stream the movies instantly. It's actually pretty cool! To create your Disney account, head over to http://disneymoviesanywhere.com. Shawn is Associate Editor here at Linux Journal, and has been around Linux since the beginning. He has a passion for open source, and he loves to teach. He also drinks too much coffee, which often shows in his writing. You can contact Shawn via e-mail, ljeditor@linuxjournal.com.